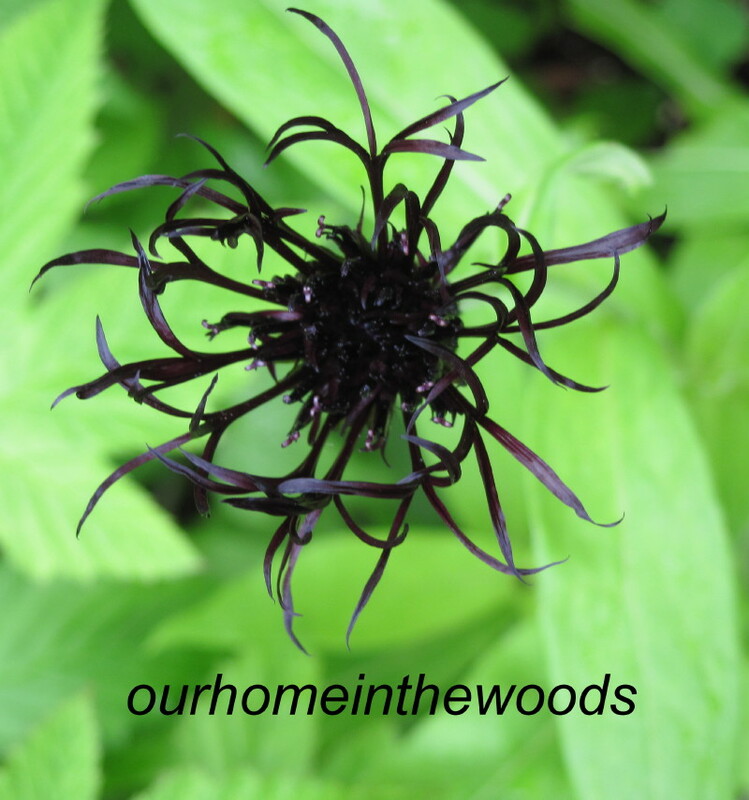 ‘BLACK SPRITE’ has an intriguing spidery black bloom on a familiar old-fashioned easy to grow perennial. This is a new patented variety that was discovered from an anomaly of the Centaurea montana ‘Black Widow’ which is not patented. There are a couple of other new varieties in the group also, they are ‘Amethyst Dream’ – which has large, royal purple flowers and ‘Amethyst in Snow’ – which has pure white blooms with a deep royal purple center. I have all three new varieties in our garden as well as the old familiar blue one. I find the ‘black sprite’ to be the most interesting. Many gardeners are familiar with the old blue Bachelor’s Button. This cultivar looks the same until it blooms with it’s very unique flower. Foliage: Gray green leaves with tiny, silvery hairs. Width: about 24” (I find that these gain some height then slumps, it looks a little lazy, and could take up more space than this. Light: These are in full sun – partial sun in my garden. The full sun plants are better bloomers. Water: They can go pretty dry between waterings. Critters: These are deer and rabbit resistant. In really wet weather, slugs find them mildly interesting. Special care notes: I should (but have forgotten to) prune them lightly before the blooms appear to keep them from the slumping. Imagine how great they would look massed!